Senator the Hon. 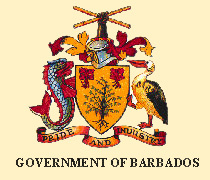 Darcey W. Boyce: To move the passing of a Resolution to approve in accordance with section 5 of the Crown Lands (Vesting and Disposal) Act, Chapter 225, the vesting in the National Housing Corporation of a parcel of land, the property of Crown, situate at Six Roads in the parish of Saint Philip in this Island for the purpose of Housing Development. Notice of this Resolution was given on 26th November, 2008. Senator the Hon. Darcey W. Boyce: To move the second reading of the Transport (Amendment) Bill 2008. Notice of this Bill was given on 10th December, 2008. The Bill was read a first time on 10th December, 2008. The Bill first appeared in the Official Gazette on 1st December, 2008. Senator the Hon. H. L. Benn: To move the passing of a Resolution to approve the Judges Remuneration and pensions (Conditions of Service and Allowances) (Amendment) Regulations, 2008. Notice of this Resolution was given on 17th December, 2008. Senator the Hon. H. L. Benn: To move the passing of a Resolution to approve the borrowing under the Special Loans Act. Cap. 105 by the Government of U.S.$35 000 000 from the International Bank for Reconstruction and Development for the purpose of financing and implementing the Second HIV/AIDS Prevention and Control Project. Senator the Hon. H. L. Benn: To move the passing of a Resolution to authorize the Minister of Finance to raise one Billion dollars by the issue of Treasury bills, tax reserve certificates and Tax refund certificates to pay off, at maturity, bills already issued and outstanding. Senator the Hon. H. L. Benn: To move the First Reading of the Road Traffic (Amendment) Bill, 2008.